A third generation Baltimore attorney, Mr. Murphy began his legal career as a judicial clerk for the Honorable James R. Eyler of the Maryland Court of Special Appeals, Maryland’s intermediate appellate court, where he assisted Judge Eyler in preparing nearly 30 appellate opinions and was a member of Judge Eyler’s winning team in the prestigious “COSA Cup” miniature golf tournament. 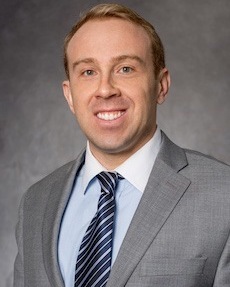 After completing his clerkship, Mr. Murphy joined a boutique business law firm in the Baltimore area, where he focused on commercial litigation, secured transactions and creditors’ rights matters. An experienced oral advocate and veteran legal writer, Mr. Murphy has represented clients in jury and non jury trials in federal, state and bankruptcy courts. Mr. Murphy routinely represents business clients in disputes and transactions, and has a particular interest in assisting clients facing complex financial fraud matters. In addition, he has represented clients in appeals nationwide, including the United States Courts of Appeal for the Second, Fourth and Sixth Circuits, the United States District Court for the Eastern District of Michigan and the Maryland Court of Special Appeals, as well as certiori petitions to the Court of Appeals of Maryland and the United States Supreme Court. Mr. Murphy joined Silverman | Thompson | Slutkin | White | LLC in January 2017 and works primarily with its fast-growing business litigation and business finance practice groups. Represented family of local businesses and their owner accused of substantial financial fraud; successfully sought dismissal of eight-figure fraud claim and obtained favorable verdict following multi-day trial. Represents United States government employees in civil rights litigation. Represents class representative in complex securities litigation involving publicly traded company. Represented United States government employees in appeals before the Fourth Circuit Court of Appeals and petition to United States Supreme Court. Represents commercial finance client in complex fraud matter involving government contracting and national security/intelligence community issues. Routinely represents business and business owners in “business divorce” cases involving disputes between owners. Represented Wall Street bank in conversion action against gasoline supplier and its management, including in motions practice and as second chair at trial in the United States District Court for the Eastern District of New York. Obtained seven figure verdict against all defendants. Primary author of appellee brief in the United States Court of Appeals for the Second Circuit successfully defending verdict. Represented real estate development defendants in breach of contract action brought by bank and lender liability against same. Authored and argued numerous complex motions and served as second chair at multi-day trial in the Circuit Court for Baltimore County, Maryland. Represented jewelry store and its owner in dispute with consulting firm. Second chair for multi-day jury trial on same that resulted in six figure judgment, including punitive damages in favor of clients, in the Circuit Court for Baltimore County, Maryland. Represented lender in federal court multi-state receivership and foreclosure action against four commercial shopping center developments and eight related defendants. Successfully obtained foreclosure decrees in three states to collect on $30,000,000+ in outstanding construction debt in the United States District Court for the Western District of Tennessee. Represented commercial finance company placed into involuntary chapter 7 bankruptcy. Successfully converted case to chapter 11, effectuated emergency asset sale and pursued several adversary proceedings to recover funds for the estate and to determine priority of competing creditors in the United States Bankruptcy Court for the District of Maryland. Routinely represents businesses and business owners in business creation, transfers of ownership, sales, lending and leasing matters. Conducted due diligence for client’s prospective purchase of equity in several affiliated limited liability companies with assets of more than $70,000,000.00. Conducted due diligence for client’s purchase of approximately twenty loans worth tens of millions of dollars and secured by mortgages on shopping centers in several states. Drafted closing and assignment documents for same. Conducted due diligence for client’s purchase of loan secured by commercial office building worth approximately $10,000,000.00. Drafted loan modification documents for same. Conducted due diligence for client’s purchase of pool of related loans worth approximately $5,000,000.00, secured by real property and business assets and subject to litigation in federal district court and bankruptcy court. Drafted motions for litigation of same in both courts. Drafted settlement agreements for same. Conducted due diligence for client’s purchase of loan pool secured by more than twenty residential and commercial mortgages in California. Participated in closings for dozens of loan sale transactions collectively worth more than $100,000,000.00 and drafted substantial documentation for the same. Conducted due diligence for client’s purchase of approximately $20,000,000.00 in mezzanine debt secured by equity interest pledges involving complex family of for profit and non-profit business entities engaged in tax favored affordable housing investments. Author of article on business liability for lead paint violations, published in the Maryland Bar Journal. Assisted in editing the The Law of Guaranties: A Jurisdiction-by-Jurisdiction Guide to U.S. and Canadian Law, published by the Commercial Finance Committee of the American Bar Association. Assisted in editing Commercial Lending Law: A State-by-State Guide, published by the Commercial Finance Committee of the American Bar Association. Print journalism experience with the Baltimore Sun, the Maryland Daily Record and several local publications as an undergraduate journalism student.